Mention Rwanda to someone, what comes first to mind? Bloody genocide, most likely. Certainly not swank men’s fashion. Think again. Over the past year, two Dutch entrepreneurs have been marketing boldly colored made-in-Rwanda men’s blazers up and down the Netherlands, under the label Afriek. 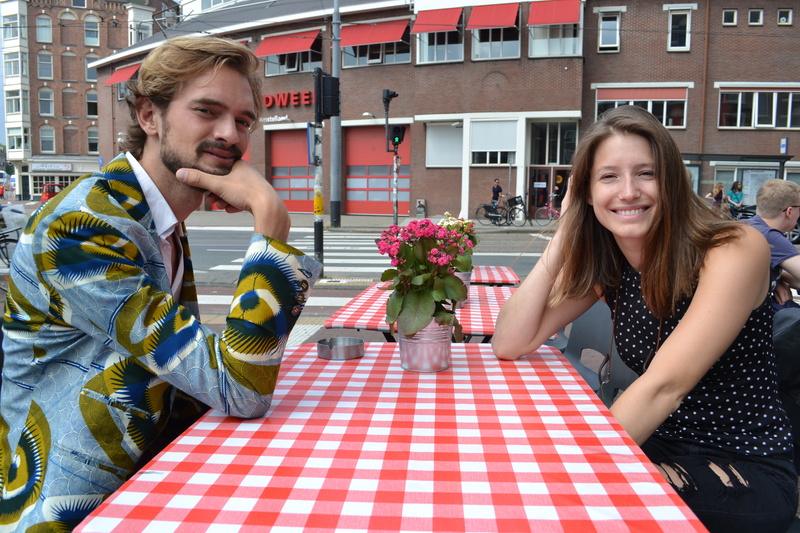 How did 26 year-old Sivan Breemhaar, a human rights/conflict studies grad, and 29 year-old Kars Gerrits, with an international relations degree, get involved in men’s fashion? And what are these blazers the two are producing? “Very special ones,” says Breemhaar. “Bringing worlds together” is what it’s all about, Gerrits adds. Kars and Sivan met back in 2011, while living in the Rwandan capital of Kigali. He was interning at the Dutch embassy, growing weary of “life in the diplomatic bubble.” She was doing her Masters research on the Rwandan education system. Both were inspired by African sartorial style, by the beauty and originality of African clothing and craftsmanship. 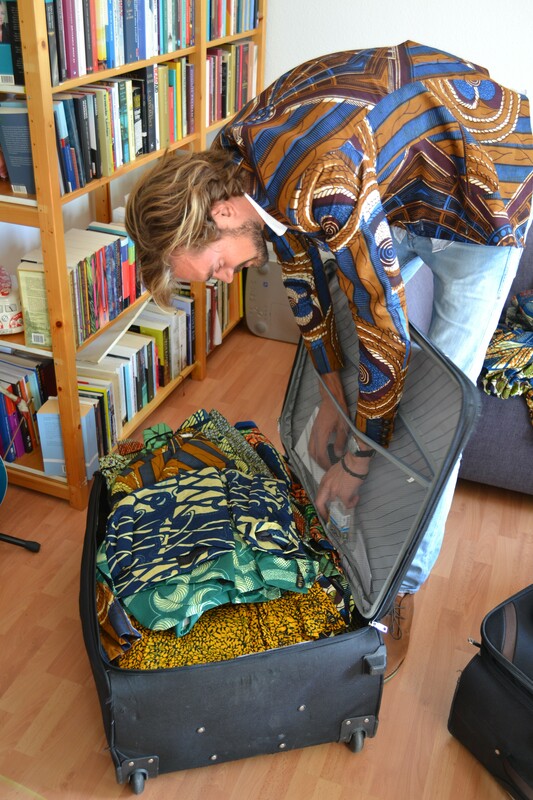 Why not launch an African-style fashion product in Europe, they asked themselves? The first idea that came to mind — Sivan’s — was flip-flops. Following a quick poll of family and friends, they switched to men’s blazers. Dutch fashion giant Vlisco sells African-style threads to the famously conservative Dutch, for big Euros, Kars and Sivan reasoned. They could do likewise, using African fabric and craftsmanship. 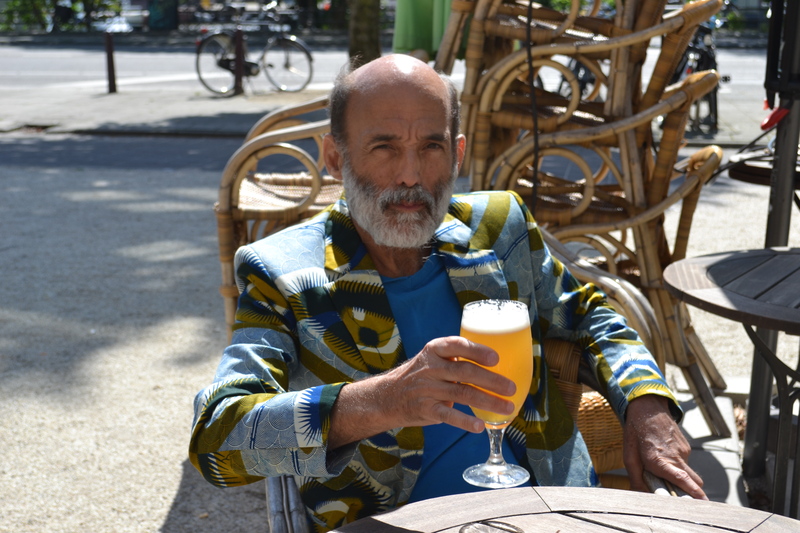 Three years later, Afriek blazers are now on sale in the Dutch cities of Groningen, Utrecht, Eindhoven and Amsterdam, and in Antwerp, Belgium. “The idea behind it is to show the beauty of Africa and combine it with our European way of looking at fashion; the European trends,” says Kars. 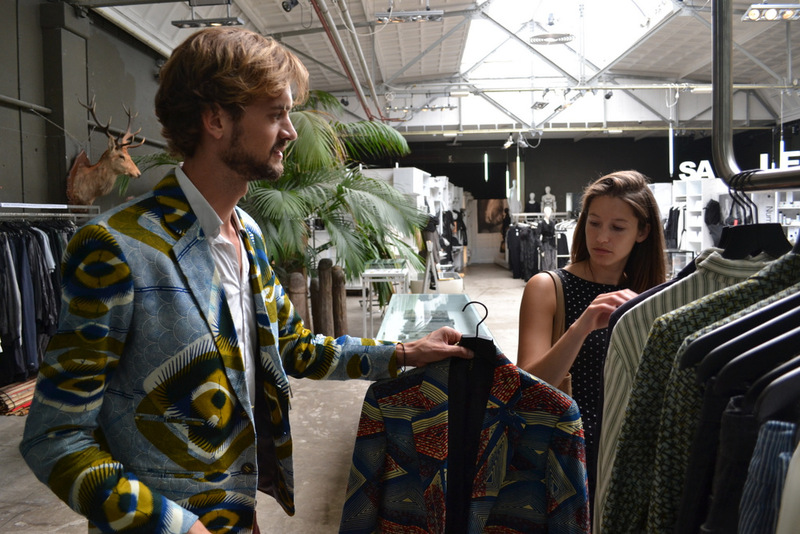 Kars and Sivan’s project has taken them back and forth between Amsterdam and Kigali, where three energetic tailors assemble Afriek blazers on second-hand German sewing machines. Fabric comes from Ivory Coast, Ghana and Nigeria; lining from Italy; threads and buttons from Germany. Tailors earn ten percent on each suit they sew. Way higher than what clothing workers in places like Bangladesh earn. Afriek lets their tailors work as hard as they’d like – but they’re encouraged to rest on Sundays. Sivan and Kars have found other ways to deal fairly, and turn their product into a story – something fashion artists like to do. Inside each Afriek blazer: a label bearing the name of its tailor. In the end, these blazers sell for their beauty, says Sivan. T-shirts with pockets are just the start. This winter and early spring, Kars and Sivan will travel to Rwanda to launch a brand new, more diversified line of Afriek products, including men’s pants and button-down shirt. 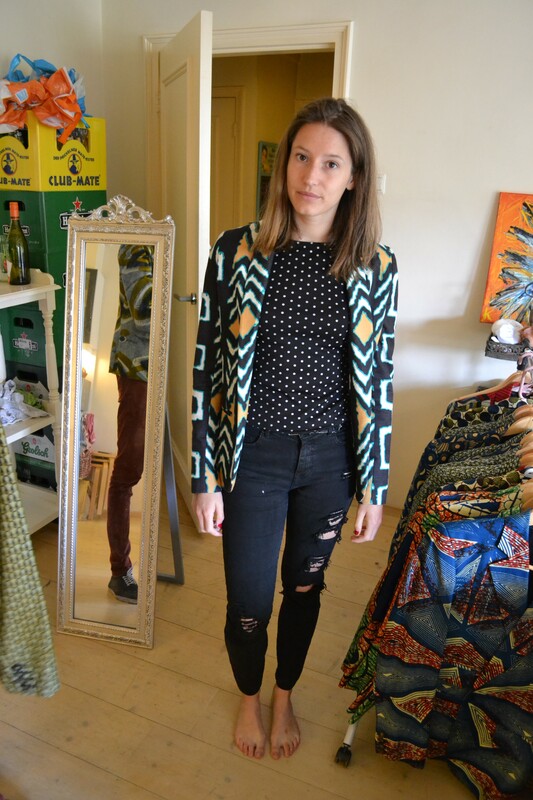 Meanwhile, Afriek jackets will appear in Berlin shops this March. An Afriek presence at highly trendy Bikini Berlin is in negotiation. A women’s collection may follow in July Fashion Week. Back in Amsterdam, Sivan and Kars will present their blazers at one of those trendy “pop-up” shops the city makes available to up and coming fashion artists, in otherwise empty commercial spaces; blazers with unique stories that began in Africa; stories for young Dutch shoppers to carry forward, on their own.